Have you heard about Christian Cafe? Is this the reason why you’re at this Christian Cafe review? Get to know more about this Christian dating site by reading the information below. Ensuring that your values will stay the way they can be challenging, especially with the many online dating sites today. This may be one of the reasons why there are a lot of people who are having second thoughts about joining online dating sites. Fortunately, there are now a lot of Christian dating sites today, which cater to people who value their religions dearly. This means that you no longer have to worry about anything at all because the section provides to Christians and ensure that your values will be intact. One of the Christian dating sites that I am talking about is Christian Cafe. I will help you get to know the site more by reading the information below. 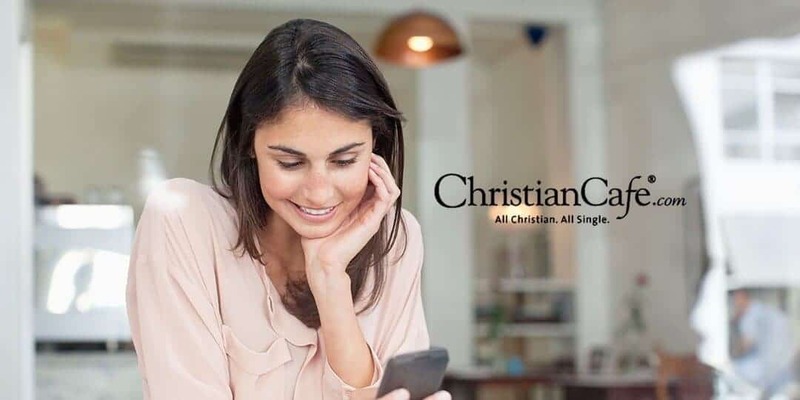 One of the Christian owned, and Christian run dating site is Christian Cafe. It was established in the year 1999, wherein this dating platform ensures that they are endeavoring to bring the values of Christianity to online dating. They are helping Christian singles meet a compatible match which will help them build a lasting relationship. As of this writing, Christian Cafe has already created 25,000 marriages. Christian Cafe is hoping that they can inspire a lot of people to live a wholesome, healthy, and happy relationship. The reason behind this is because they want to have an active and supporting dating network that will help its members to practice their own Christian values. Recently, Christian Cafe went through an overhaul and a branding update. This is actually a good thing because it is already overdue and will definitely assist with the member’s user experience. Unfortunately, there are some things that Christian Cafe lacks, but this doesn’t mean that the site is useless. It can pretty much do everything that you need in an online dating site. But the site could definitely use a makeover. One of the reasons why you should choose Christian Cafe is because all of its new members can enjoy a free trial for one whole week. This means that they can use all of the site’s features for a week. The reason why Christian Cafe do this is that usually, members would want to sign up once they check all of the highlights of the site. This helps members decide whether they want the features or not. Offers a lot fo dating tips which will cater to the Christian community. They are responsible for over 25,000 Christian marriages. Membership is cheaper than your daily cup of coffee. Christian Cafe removes inactive profiles automatically. When it comes to signing up on Christian Cafe, the process is pretty easy. The process won’t take you more than five minutes. The reason behind this is because Christian Cafe only needs you to give a valid email address, and as well as your birthdate. You will also need to answer mandatory questions about your marital status, employment, children, faith, lifestyle, and appearance. For the marital status, the only options available are widowed, divorced, single or never been married. After answering the questions, there will be others that will be prompted on the next page. Typically, these will let you write descriptions of yourself, including Describe Your Christian Faith, and Describe The Type Of Relationship You’re Looking For. These things will help other members to get to know you. Of course, these questions are optional, but if you want to add some personality to your own profile, then it would be best to answer them. This will also help you to attract more attention from other members. Just like in other online dating sites, new members need to choose a username. This will help add a layer of anonymity and privacy especially if you are not comfortable with using your real name. Just by joining Christian Cafe you will qualify automatically for a seven day trial period. This simply means that you will be able to use all of the site’s premium features available to members who are subscribed. Also, this simply means that you can send and receive messages anytime and for as many as you want. Now, if you add a photo of yourself, then you will be given an additional three days of free membership. Once the trial period expires, you are not obligated to sign up. This will, of course, be up to you if you want to sign up or not. The reason behind this is because Christian Cafe offers this experience in the hopes that the member will eventually decide to stay with the site and enjoy its features under a paid membership. The subscription ranges from a month to a year. One of the unique features of Christian Cafe is that they allow their members to give membership gifts to other members. All you have to do is to write down the person’s username that you want to pay for once you checkout. You can pay for the membership for one installment. But you shouldn’t worry because Christian Cafe always makes sure that they are offering prices that are affordable. Another good thing about Christian Cafe is that they have a number of useful options when it comes to searching. You have the ability to sort your search results by location, age, gender, and photo. Now, if you want to get a specific match, then I would be best to create a search that is tailored to your preferences. You may also set up an automatic messaging which will help show that you are interested in that certain kind of members. With the sites community oriented and user-friendly features, making connections will surely be worthwhile. As mentioned above, you have the ability to filter your searches based on your preferences. You may want to search for someone based on their church involvement or denominational preferences. Also, you will be able to narrow down the profiles that are inactive so you won’t waste your time sending them a message. All of the search filters will help you find a match that will fit your preferences. All of these will help you find members who have the same spiritual conviction just like yourself. Now, if you don’t feel like creating a search, Christian Cafe offer Quick Matches. This will be based on the answers that you enter on your profile. The site will match you with members who will fit on your criteria. Christian Cafe will also let you search for men and women within your area. You don’t have to worry about anything because the site will still give you take control of the search result. Another good feature that Christian Cafe has is where you can block other members. You can prevent the ones that you don’t want to message you. You can also use this feature on their mobile app, which is perfect for both iPhone and Android. These are all of the information that you will get on this Christian Cafe review. If you want to find a Christian partner, then Christian Cafe is the one for you.